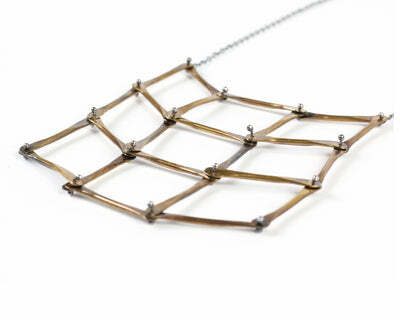 A new favorite and best seller, this necklace is compositional and shapely, reminiscent of modern architecture. 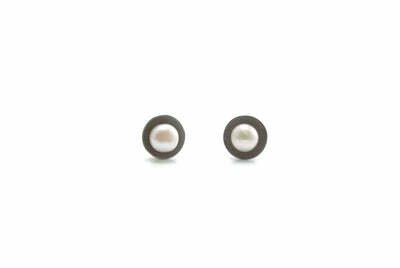 It has dimension and volume with contrasting elements making it the perfect art jewelry piece. 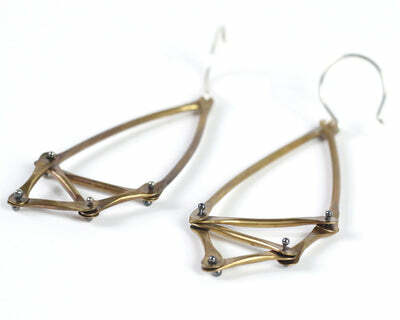 The brass and silver shapes are oxidized, as well as the silver chain which has been doubled over on both sides. 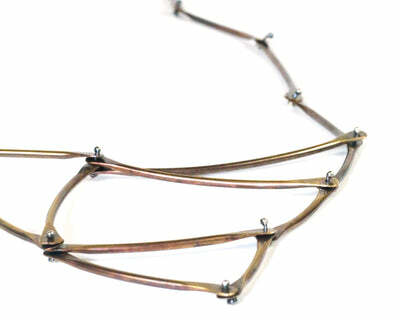 The necklace is appx 17" long, but can be made to any length upon request.